After driving his solar car around Canada and the U.S. smashing the previous world record, Marcelo da Luz will add another first to his impressive list of firsts and world records. He will personally pull his XOF1 solar car from Niagara Falls to Toronto. On April 10th, XOF1 will run on human power. It will be pulled from Niagara Falls to Toronto on secondary roads, a journey of 160 km (100 miles). Marcelo will undertake this massive endeavor to inspire people to learn, think and act - to discuss forms of clean energy and to challenge people to consider their energy usage and the ways each of us individually can have an impact on our environment. Dubbed the "XOF1Walk" this event aims to inspire real and positive changes towards sustainable energy models at the individual, regional and government levels. 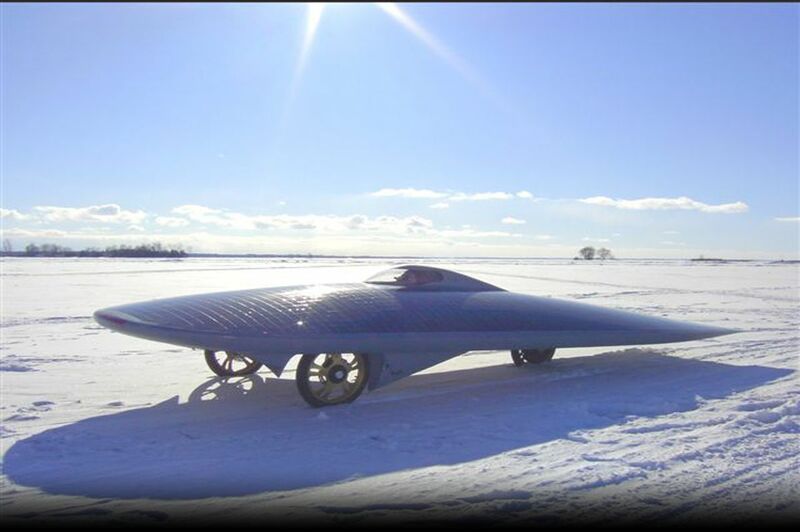 Why attempt this crazy feat to PULL a solar car? Marcelo wants to motivate ordinary citizens to do what they can to help preserve the planet. He also wants to encourage governments to foster a mutually rewarding atmosphere for those who seek green prosperity and those in power who can make it happen. XOF1 was designed and built in Ontario, Canada. In a streak of irony Ontario has forbidden XOF1 to drive on its public roads and created administrative roadblocks to make it virtually impossible to drive any solar car across Ontario. XOF1 can be driven in nearly every jurisdiction in the world without restriction. "I sincerely hope citizens and its political leaders will embrace and welcome the opportunity to be inspired by the XOF1 WALK"- said Marcelo da Luz. The motto of this event is "One Person Can Change the World, You". The XOF1 Solar Car is the first electric vehicle to reach the Arctic Circle, not once - but twice. Travelling through much of Canada and the United States, including Alaska, it was once mistaken for a UFO and chased by the police. It more than doubled the previous world distance record, clocking in at 36,220.5 km (22,436.3 miles) and counting. It also was the first EV (electric vehicle) to drive on an ice road and the first EV to cross the longest continuous ice road in the world. What makes its achievements even more remarkable is the fact it ran on sunshine as fuel, using less energy than what shines on the roof of a typical garage. It was never plugged into the grid; it used no man made electricity whatsoever. It has a bank of Li-Ion Polymer batteries to store electricity but instead of plugging into the wall to charge its batteries, it plugs into the sun. An electric motor drives the car. Zero to 85 kmh (50mph) in 6 seconds. Top speed is 120 kmh (85 mph). It has a range of 500 km (310.6 miles) on a bright sunny day. Its onboard batteries power the car for 200 km (130 miles) at night.